Coelho Júnior points out that the personal email (webmail) can not be “invaded” by the company, and he has every right not to allow their use during work hours. Besides monitoring of actions taken on the computer, blocking certain websites and programs that have no direct relation to the work is common practice in companies. The expert himself uses all these resource within his office, both to prevent the leak of confidential information as to increase productivity. “So also take this opportunity to retract the rule that ‘in house blacksmith, the spit is pau'” he jokes. Director of Technology Marcadé clothes Via Veneto, Ricardo Popescu also think it is important to control the access of the approximately 300 employees of the company who work with computers. The expert in information security and cybercrime expert Wanderson Castilho installs system that monitors computers investigates possible suspicions crime committed by employees of the companies who hire their services. “Right now I’m handling the case of an employee with 11 years of service, 8 months pregnant, and that every month diverts small amounts of money from the company. The sum total is already quite significant, “he reveals. “Everything is registered and it is possible to recover any data, even deleted and formatted” he says. Castillo explains that there are several ways to monitor a computer network, such as software that take “photos” of the screen (print screen) every five seconds, for example, and store them in a database. The company, he says, “buy” employee time and provides the equipment and tools so it can work in his favor. “So even if you have free access, do not commit abuses,” he advises. In today’s world, you can easily find that the computer has been widely used in people’s lives, whether for study, work or play. At some point, you may urgently want to know what your children, employees actually do on the computer all days because they spend so much time with him. Especially children deeply already had computers, which greatly affects the time they spend with each other. Hence, if parents, teachers or managers are responsible for the intensification of monitoring on -line with the installation of computer monitoring program. 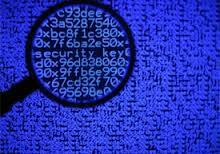 Besides finding out what computer users do on the Internet, the computer monitoring software does more to strengthen the on-line monitoring, in order to keep users from online dangers computer. People today can hardly live without computers and also make a lot of problems because of the computer, you can pick up a paper and find a story almost daily about people who communicate via the Internet, became embroiled in a situation that compromised their safety. But computer monitoring program can help you monitor and record all the things that happen on the target computer and monitor your web use. IMonitor EAM is a comprehensive PC monitoring program, which is well characterized to help all PC users to maintain control over what is happening to your computer in real time and keep track of online activities. As a powerful computer monitoring program, it not only can record all keystrokes, including passwords typed, visited websites, downloaded files, frequently used applications and more, but also keep track of online behavior by blocking websites and applications . With this PC monitoring software, parents can monitor typed instant messages, websites visited, search content, the activity of social networking and more, which can help parents clearly know about what children do on the Internet. Moreover these logs can also alert parents timely if they find that something is wrong with their children. Additionally, managers can also make full use of this powerful computer monitoring program to constrain online behavior of employees. As is known to all, managers’ online monitoring is very important to work today, since almost all employees have to use the Internet to work every day and is difficult to control all their online activities. IMonitor EAM runs and monitor and control what employees do on the Internet and plays an important role in network management. 1. Show the customer you are listening by checking that you understand. Keep an open mind at all times. 2. Allow the customer to show their emotions if they are upset or angry. 3. Say you are sorry that the customer is upset. Concentrate on the situation not the personalities. 4. Don not force your solution on the customer. 5. Make sure you get full details of the problem. Try to find out what result the customer wants. 6. Summarize and make sure that the customer understands what you have said. 7. Ask the customer to put the complain in writing. 8. Be firm if you are sure of your facts. You Tube – and end up generating actions in court. job and kept him in their list of MSN. The action still being processed in court. with that, they were convicted, on appeal, to pay a fine old company, “says the lawyer. example,” says digital expert Wanderson Castilho. An employee of a financial company created a blog. And, unsuspectingly, put information on the balance sheet of the company that had recently opened its capital. The problem is that the data were different from those submitted to the Securities Commission(CVM). The company has received a formal warning from watchdog and fired for cause. 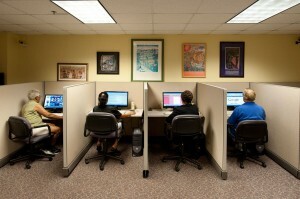 Increasingly, companies have faced problems due to misuse of the Internet by their employees. Many cases involve the MSN and social networks -Facebook, Twitter, Orkut and You Tube – and end up generating actions in court. In another case, the 10th Criminal Law Chamber of the Court of Justice of São Paulo (Id) sentenced former employees who have used Google to steal customers from the company where they worked. They have registered the company name in Google. So whenever a Google user searched by company name, appeared to link the competitor where they were working.”Still appeal. But with that, they were convicted, on appeal, to pay a fine to old company, “says the lawyer. His calculation, taking into account an average monthly salary of $ 1,250 was realized from a program available on site www.brc.com.br . Through the tool, companies can calculate what is the harm caused by the misuse of the Internet by their employees. Castilho use the program in the processes related to social networks. “With it, the employer can make clear the direct relationship between productivity and the misuse of the Internet because the employee is not the owner of his time when he is in the company,” he says. It is the employer’s right to monitor, using lawful means, the activities performed by employees in the workplace, especially with the purpose of the inspection is to regulate the development of business activity. This right becomes a power: the power of steering (or supervisory), which arises from the fact that he is the owner of the business and takes risks. Many questions arise about this controlling power that employers have over employees. Nowadays, with the technological advancement, which enables more effective means of monitoring the activities of the worker opens scope for abuse. It is at this point – the possibility of abuse by employers – that it is necessary to examine how the company can and should exercise the governing power. It happens that, despite being legitimate in theory, such supervision by the employer, the employee has the right to privacy (article. 5, section XII of the Constitution of 1988). This right can somehow suffer harmful interference from the employer. It is necessary then analyzed from the legal nature of the employment contract to the manner permitted by law to resolve conflicts between governing power and right to privacy. According to doctrinal and jurisprudential understanding, beyond pointing Article 442 of the Labor Code, the adjustment will of the parties is essential to the validity of the employment contract condition. ie, employee and employer must adhere to the contract they consensually established. However, despite having the imposition of this mutual agreement, it is natural and even necessary that the employee be put in a position of subordination to the employer. Thus, he agrees that its activity is directed by the latter, which has enforcement power by virtue of being the owner of the business and take risks. The company therefore has the prerogative to regulate activities performed by their subordinates. But employees should have prior knowledge of all working conditions, including with respect to surveillance will be subject. Prior knowledge of contract conditions, especially with regard to control, has the purpose of guaranteeing them the inviolability of the rights to privacy, honor and intimacy. The Constitution, in its article. 5, section XII, asserts that are inviolable privacy, private life, honor and image of persons, guaranteeing the right to compensation for property or moral damages resulting from the violation. These rights are guaranteed to all individuals, regardless of legal relationship to which they are subject. Therefore, such rights must also be observed in labor relations. It is clear that there is a latent conflict between the employer’s right power and the right of privacy of the employee. And it is necessary, therefore, to seek ways of resolving this conflict. The doctrine and jurisprudence elect the application, in this case, the principle of proportionality as the most appropriate manner permitted by law to resolve the issue. i.e., one must assess how necessary is the interference of a right in the other and what is the degree of mitigation that one will suffer for the other. Thus, provided there is proportionality, it is entirely legitimate for the employer to monitor his business activity and, consequently, the services provided by its employees. The employer has no right for the employee, but on how their activity is exerted. We conclude, therefore, employer is fully legitimate to monitor the services provided by the employees, provided they do so in a reasonable and proportionate way. Understandings that exist in relation to computer systems in case of internet and emails, when necessary to perform job-related employee activities may be monitored. And this understanding is based on the equipment and software belong to the employer. ‘team working’ has infiltrated every nook and cranny within just about every organisation. You can’t get away from ‘teams’ that are supposed to be able to create something that is greater than the sum of its parts. Or so the theory goes. Yet the truth about teams is that the larger majority of them do not achieve the synergies they could. For example, poor teamworking is the culprit when meetings regularly overrun, when there are frequent arguments between team members or there is an healthy level of competition between individuals. Other signs of unproductive teamworking are people not always completing task assigned to them or last minute panics to meet deadlines. More often than not, ineffective trams are the result of poor planing. In other words, a clear reason for the team to exist. But don’t think of goals as wish lists – they have to be achievabel, yet challenging enough to motivate team members. Members must be able to express their opinions freely without fear of retribution, and feel that suggestions will be taken seriously. The team might also need to agree whether politically sensitive topics of discussion in meetings should be kept within the confines of the team or shared with other employees. 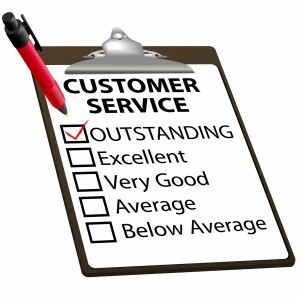 Customers’ satisfaction is our motive power! Live chat visitor satisfaction rating result in July comes out. Lynn and Kevin have done a really good job. They have 100% good rate! Lynn is always kind and gentle to clients, taking feelings of client into consideration. Kevin’s strong point is to solve problems in shortest time. Many clients complimented him for his efficient response. You two are indeed excellent! Chocolate as prize for you and congratulations! On the contrary, one guy received a dozen of bad rate. Oh, come on, we know your technical knowledge comes on top and all you need is only one thing – patience. Yes, patience is significant. If you could be a little bit more patient to your clients you would be perfect! Cathy and Tina, I am really glad that you both made a great improvement. Finally, a big thank you to everyone for your hard working! The page of iMonitor EAM has been updated. Recently many users claim that they feel lost after they download EAM installation package. They don’t know which program should be installed on which computer. I think the installation manual is clear enough for user to finish the installation but it seems that some users just feel troublesome to read it, so we draw a picture showing structure of EAM program. Indeed, the installation is very easy. Have server program and console program installed on manager’s PC and agent program on employees’ PC, that is all, nothing difficult, yeah? Another column added on the EAM page is feature list, we have tried our best to give detailed description of all major functions. We hope this column could help our customers get an idea of what this software can do. The list is made according to EAM professional if you want to know features of EAM Standard please hit the “features” button which will lead you to page of EAM Pro. and Std. comparison. If you have any suggestion about what content we should add on our website please leave it in the comment. We would be very grateful.